In Los Angeles and other parts of the country, police officers are working in such run-down and neglected buildings, it’s actually dangerous. If you read American Police Beat regularly, you know this is a growing problem around the nation, as tax cuts for corporations and the wealthy stretch municipal budgets to the breaking point. And if police departments and public schools are being neglected and ignored, it’s easy to imagine what’s going on inside the jails. Because of the popularity of the approach of politicians like former Sheriff Joe Arpaio and Milwaukee County Sheriff David Clarke, people tend to think bad prison conditions are a good way to punish inmates. But that’s only true for those who are on the outside looking and who aren’t interested in the details of well-run, professional corrections operations. 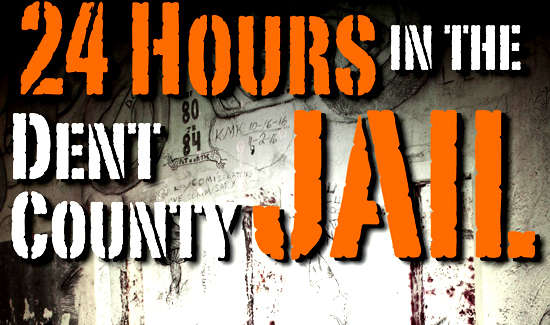 At any rate, check out the conditions at the Dent County, Missouri, lockup. And keep in mind that there are more than just inmates in the facility. Corrections officers and others are also exposed to the black mold and the rest of the health hazards. It’s a sad state of affairs and is likely to get a lot worse before, or if, it gets any better. I look to APB for informative and fact based information. This article with its, ” you know this is a growing problem around the nation, as tax cuts for corporations and the wealthy stretch municipal budgets to the breaking point.” is simply a politically motivated opinion piece. Keep politics out of officer safety please…..
At no time has either former Sheriff Arpaio or Sheriff Clark advocated for poor conditions at a jail or prison in fact it’s just the other way around. As a police officer I would expect you to have your facts straight and not make up fake news.